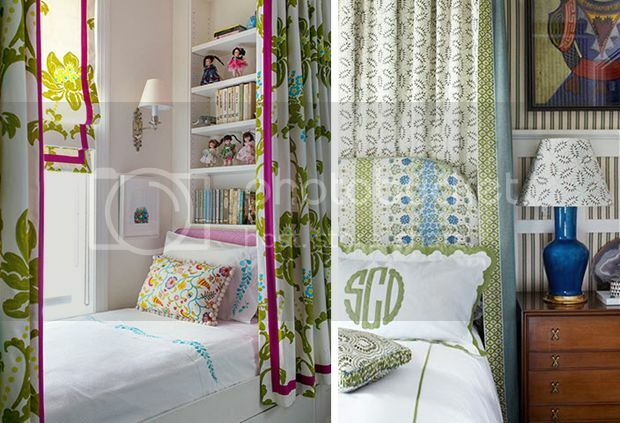 A twist on the canopy bed, this look brings lush fabrics to the forefront of the space. It’s also an opportunity to use multiple complementary patterns and trim to complete the scheme. 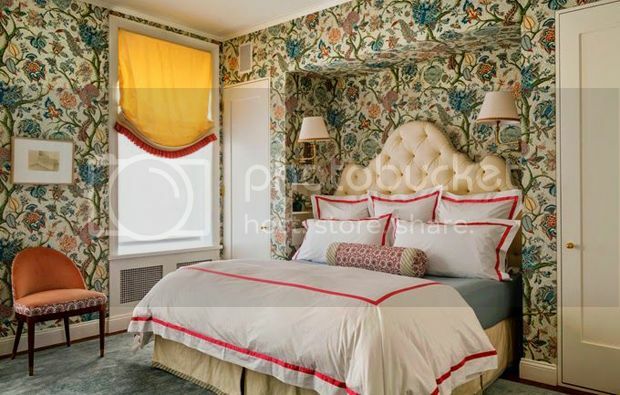 A stunning bed or headboard is a key piece in each of these spaces; and while I am immediately drawn to the plush tufted versions, I am surprisingly enamored with the spindle four-poster bed as well. A real show-stopper! 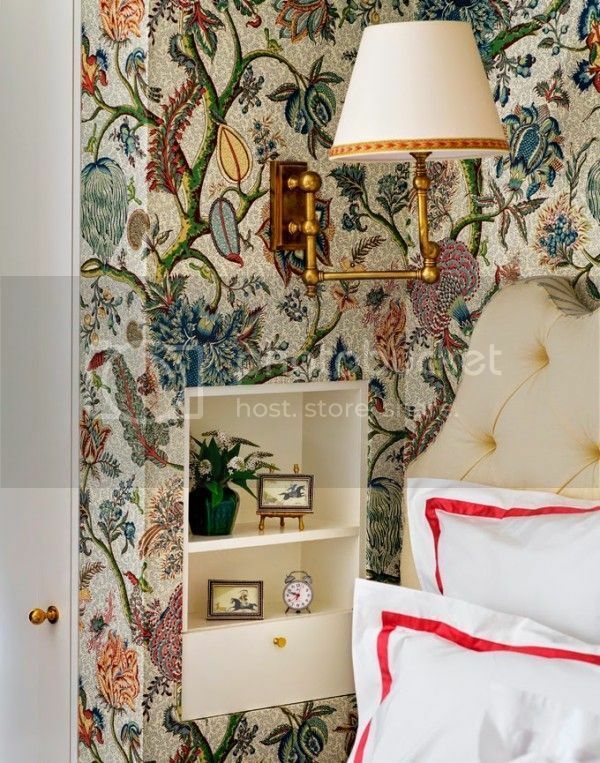 Whether through a pair of roman shades, night stands, chairs, sconces, or even simple bed-side table lamps, repetition from left to right will always be most appealing to the eye. 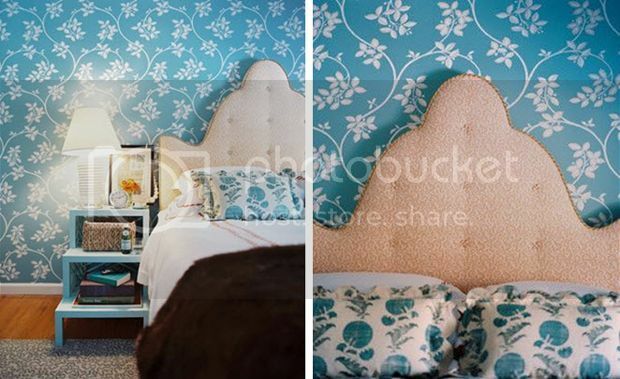 I love this last little detail – repeating the same pattern on bedding, pillows, headboard and wallpaper is such a tailored and traditional look. It creates such a polished and well-thought out space, don’t you think? 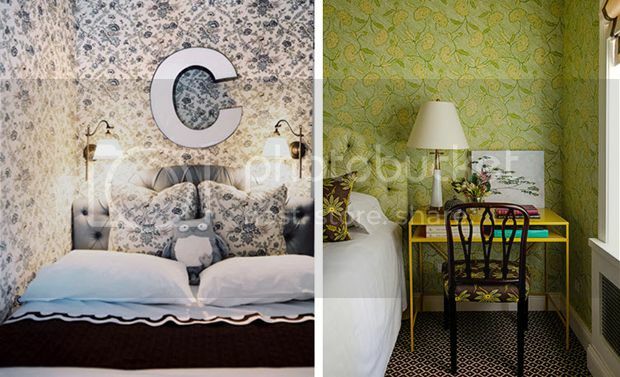 And there you have it, four key elements that create bedroom retreats to be remembered. 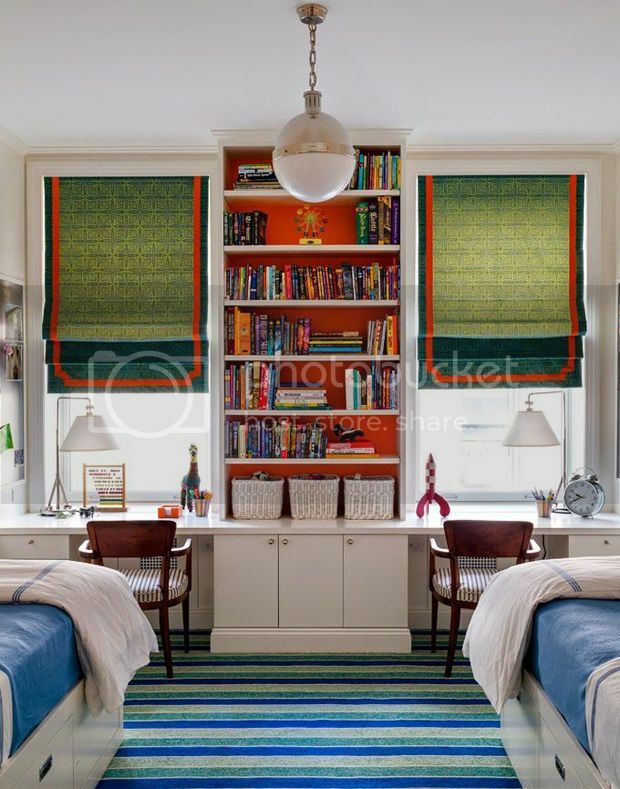 To see more from Tilton Fenwick’s portfolio and fabrics, hop over to their site here. 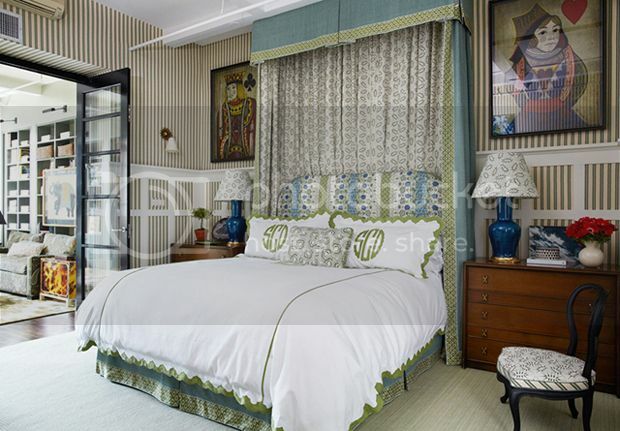 Tilton Fenwick really knows their finishes and it makes the design work so extra special and luxe. It IS all in the details! !